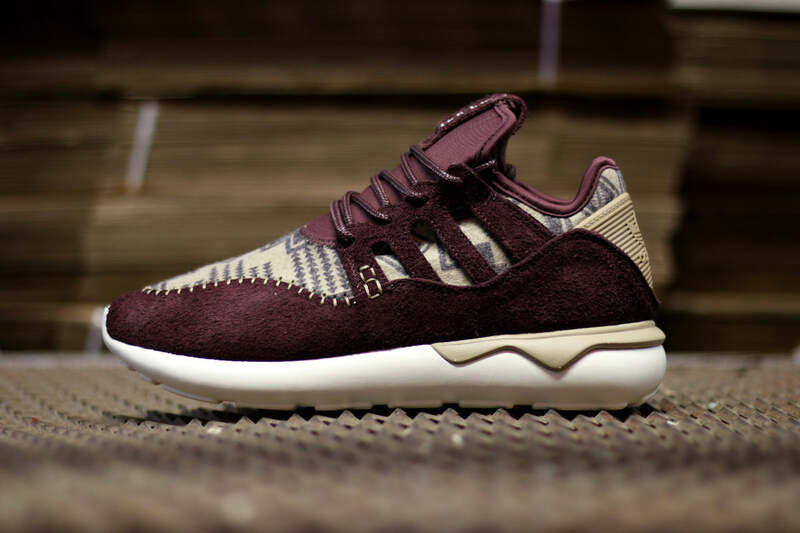 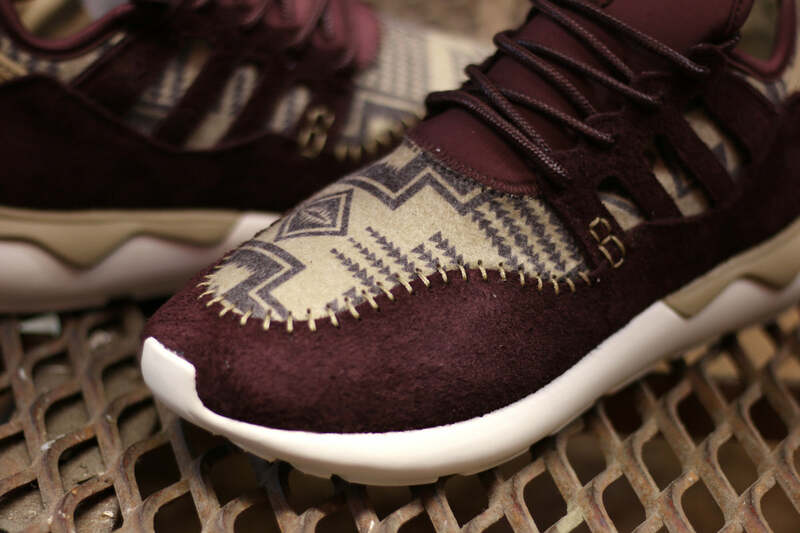 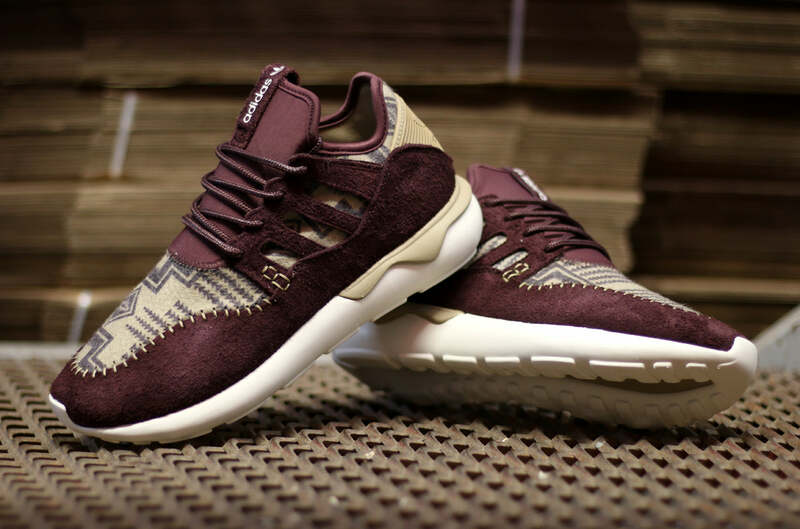 The adidas Tubular Moc Runner is inspired by the traditional Native American moccasin. 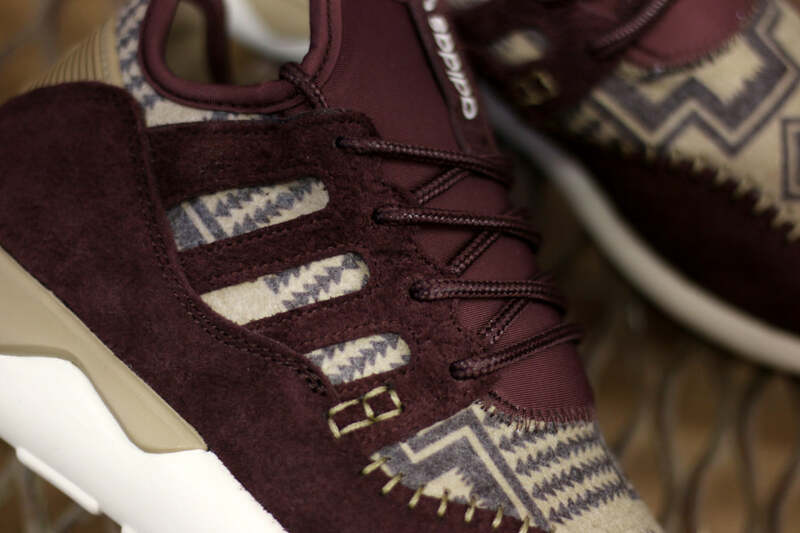 For Fall 2015 adidas further explore the shoes inspiration with the addition of a Native American blanket textile on the upper. 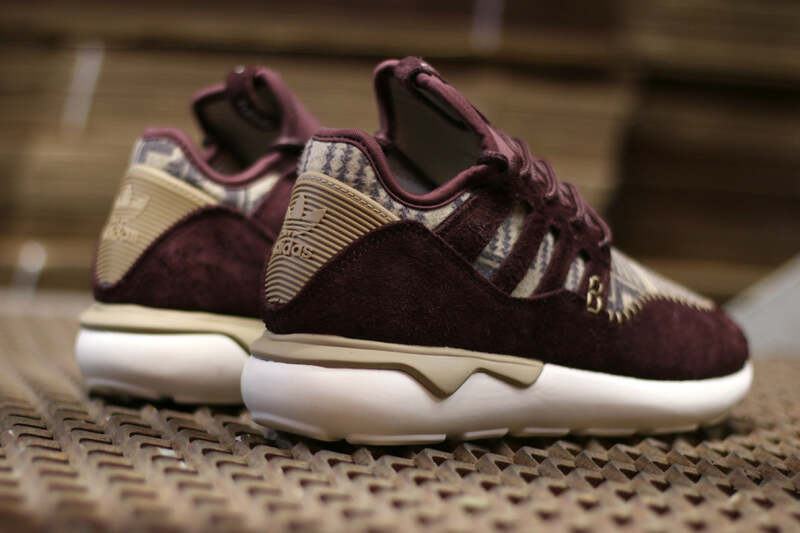 Overlayed with burgundy suede panels and a maroon neoprene tongue.